Good things come to an end like summer holidays and long school breaks, but they often usher in new beginnings. Another back to school season is upon us and we are here to make things fun and easy for all our mums out there. We’ve made provisions for back-to-school kits to help your kids settle into their new classes with ease. Simply walk into below stores, buy any NUNU milk combo up to 1,000 naira, spin our fortune wheel ONE time and win an instant prize! *‎Exercise books, pencil cases, mathematical sets, backpacks, water bottles, pens, lunch boxes, and many more. What’s more, for every 1,000 naira NUNU milk combo you buy, you get to spin the wheel once and win! 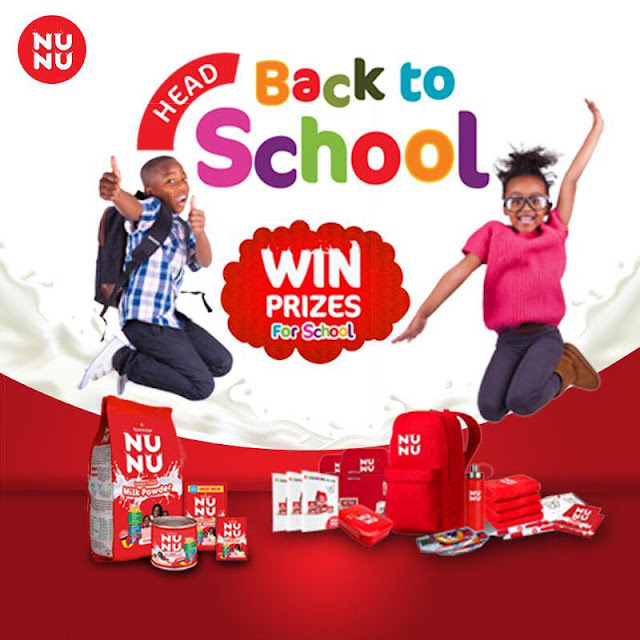 The NUNU back-to-school promo will be available at all Shoprite & Spar outlets as well as selected retail outlets near you. Promo runs Till 30th September, 2018.